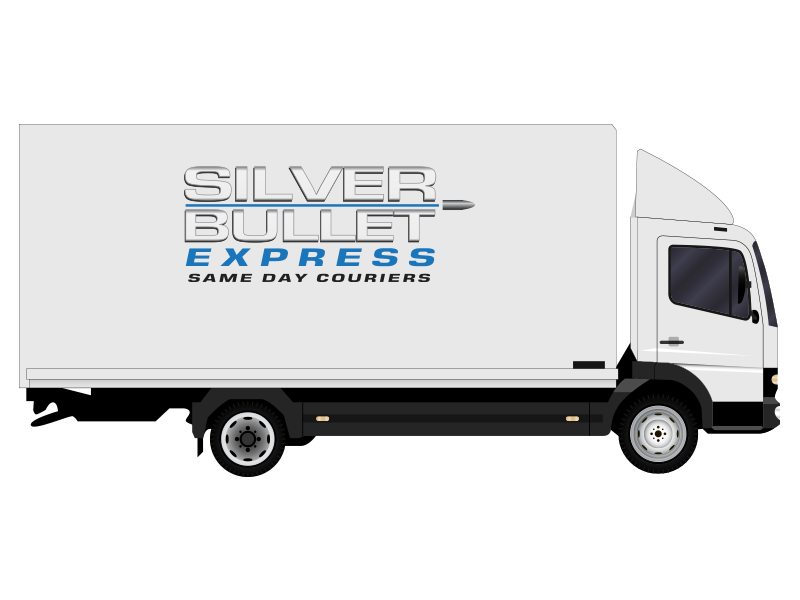 Silver Bullet Express is a family run same day courier located in Ampthill, Bedfordshire (close to Bedford and Milton Keynes). We have an impressive fleet of small and large vehicles located throughout the UK, allowing us to make nationwide same day deliveries without any difficulties. We are able to deliver small envelopes just as easily as fully loaded pallets and thanks to our superb fleet, we’ll always send an appropriately sized vehicle for your delivery. This will help ensure the price you are quoted is low and very competitive. Our drivers will aim to pick up your items within an hour of you booking your collection. Your goods will then be taken straight to the delivery postcode without any stops or additional collections along the way. We understand the importance of next day deliveries and will do everything in our power to get your items from A to B as quickly as possible. You will be kept up to date with the progress of your consignment and in the very unlikely event of a driver taking longer to deliver a good than expected (because of unexpected traffic, for example), you’ll be made fully aware of the situation so that you can let your client know too. Paperwork is provided as standard, as well as free £10,000 insurance. It’s incredibly unlikely you’ll ever need to claim because our drivers will treat your items with the respect they deserve. However, it is great to have that cover in place for your peace of mind. Additional insurance is available but please contact us for more information. Thanks to our loyal clients, Silver Bullet Express is continuing to grow year on year. We are proud to have a 5.0 rating on Google and will continue to do everything we can ensure all of our customers have a great experience using our service. We’ve recently invested in an instant quote generator – a tool designed to provide you with an accurate price in a matter of seconds. All you need to do is enter the collection postcode, delivery postcode and a few pieces of information about yourself and you’ll be presented with two prices. One of the prices is for a small vehicle (for lightweight consignments such as hand carriable boxes) and the other is for a large vehicle (an ideal choice for pallets). You can then book your collection over the phone by calling our friendly team. Unlike the faceless multinational couriers – it’s easy to get in touch with us! Our friendly team is on hand to answer any questions you may have. Please give us a call on 0800 907 0016 or contact us here. Please call us to book a delivery.